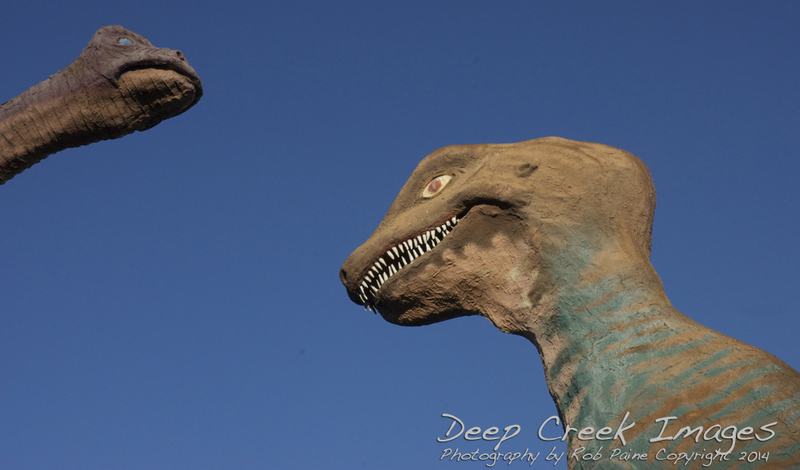 Three Years Ago on ISBAA : Roadside Attraction near Winchester, Va.
No worries, you have just reached Dinosaur Land. According to its Web site, Dinosaurland has be in operation for 50 years. 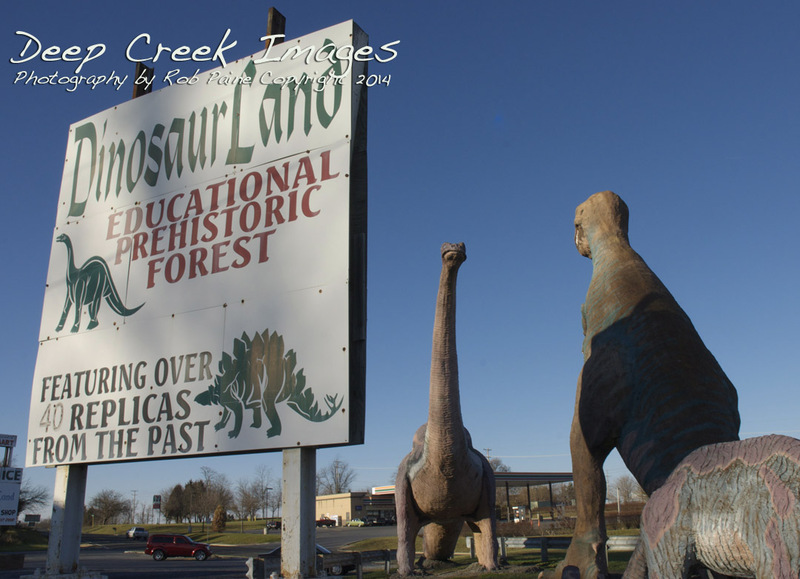 “The roadside attraction features over 50 dinosaurs, inviting visitors to step into the world of the prehistoric past, turning back the pages of time to the Mesozoic era, when dinosaurs were the only creatures that roamed the earth,” the Web site states. With 50 dinos on display, there are plenty of curves to photograph in this bunch. 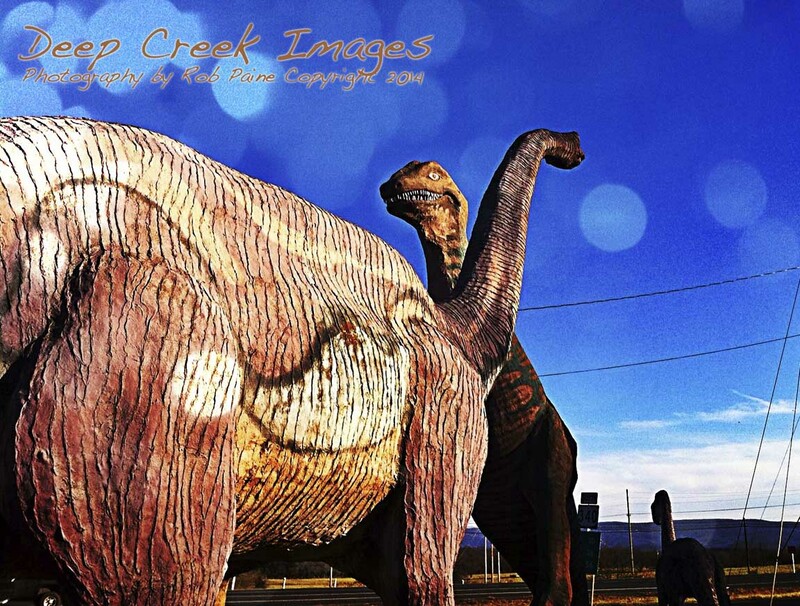 Giant dinosaur sculptures greet visitors near the entrance to Dinosaur Land in Virginia. You cannot beat the admission prices: Ages 2 – 10 years: $5.00, Ages 11 years and up: $6.00. Route 522 also provides some great vistas of the mountains. The dinosaurs shown in these photos are the ones located outside the prehistoric theme park. There are dozens more behind the entrance gates. 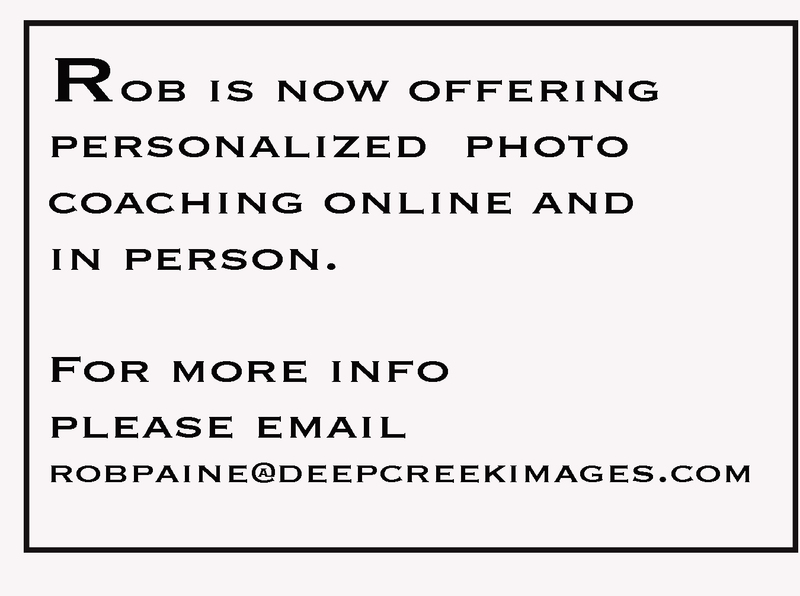 These photos were taken on a Sunday afternoon drive back from Deep Creek Lake. The late afternoon sun falls nicely on the dinosaurs, which made for some good pictures. 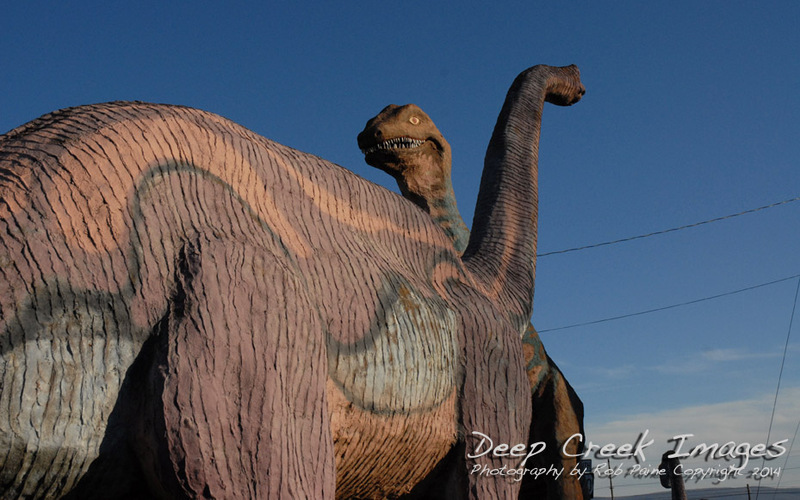 Dinosaur Land is a short drive off Interstate 81 and not far from Winchester, Va.